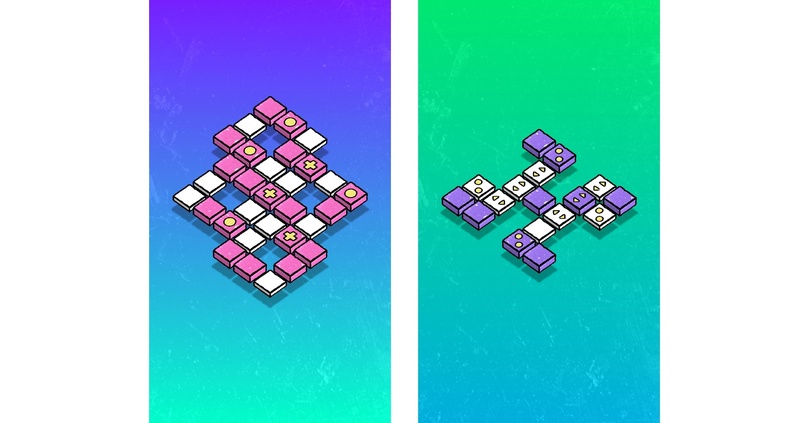 Dropout Games is known for publishing relaxing, stylish puzzle games like Blyss, which we previously covered on MacStories. They are back with WayOut, an elegant Lights Out-style iOS game developed with Ukraine-based developer Konstructors that is easy to learn to play but devilishly difficult to master. There’s a short tutorial at the beginning of WayOut that I’m not sure is necessary given how simple the game is to play. Each puzzle is a grid of squares. Some are white, and others are colored. The object of the game is to turn all the squares white by tapping on the colored squares. The puzzles indicate the minimum number of moves in which they can be solved, which is fun to try to do, but there is no penalty for taking as many turns as you need to solve each. When you tap a colored square, it turns the adjacent squares white. What makes the game increasingly difficult is the complexity of the game boards, which gradually evolve into large, complex shapes with difficult tile patterns. WayOut is divided into six chapters, which include over 60 puzzles to solve. Each of the chapters introduces a slightly different mechanic, which keeps the game from becoming one-dimensional. For example, double arrow tiles mix things up by only changing the color of the tiles on the sides the arrows point. Puzzle games can be a great way to relax. The more absorbing the game is, the more it helps put whatever is on your mind on the back burner. WayOut combines exactly those sorts of puzzles with hand-drawn graphics that give the game a natural, organic feel, and a soothing, atmospheric soundtrack. It’s a fantastic combination that makes it easy to get lost in each of WayOut’s puzzles and I expect will be a hit with iOS puzzle fans. WayOut is available on the App Store for $0.99.